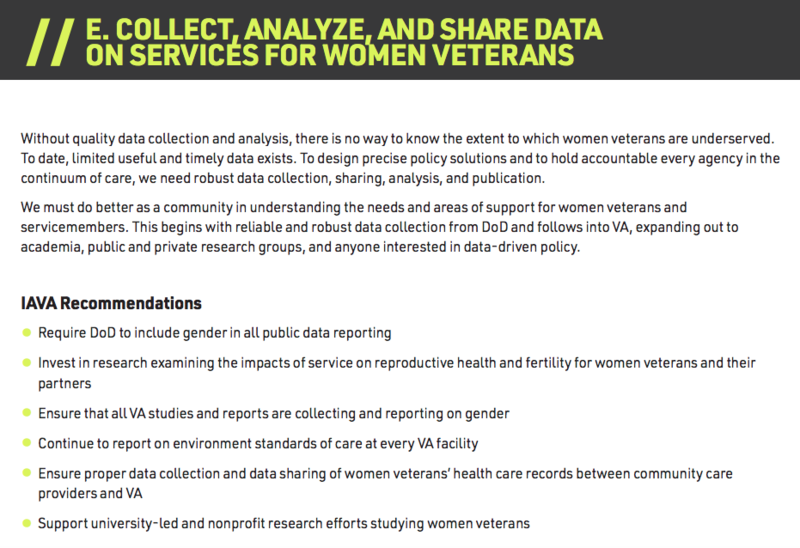 Over the past few years, there has been a groundswell of support for women veterans’ issues. From health care access to reproductive health services to a seismic culture change within the veteran community, women veterans have rightly been focused on and elevated on Capitol Hill, inside VA, and nationally. 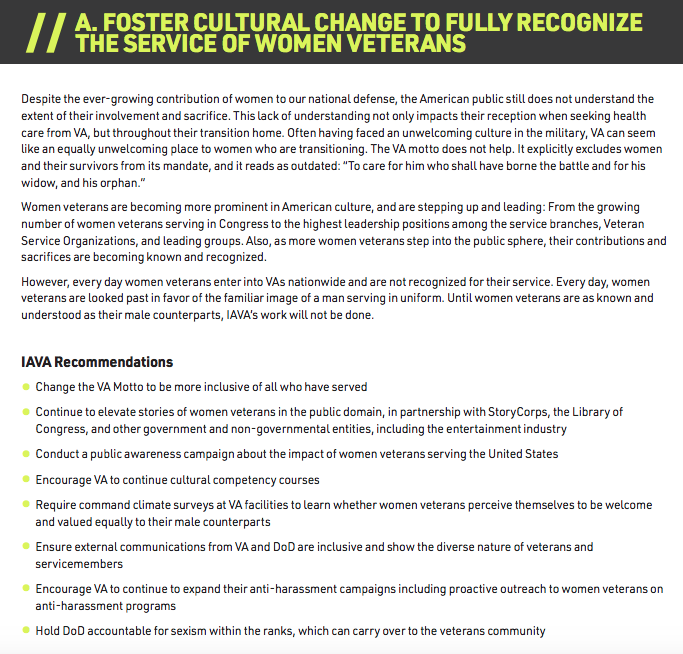 In 2017, IAVA launched our groundbreaking campaign, #SheWhoBorneTheBattle, focused on recognizing the service of women veterans, closing gaps in care provided to them by VA, and finally changing the outdated VA motto to represent ALL veterans. We made the bold choice to lead on an issue that was important to not just the 20% of our members that are women, but to our entire membership: the future of healthcare and America’s national security. We fought hard for top down culture change in VA for the more than 345,000 women who have fought in our current wars – and for all Americans. The number of women in both the military and veteran communities has been growing steadily since the 1970s. While more women are joining the military and are finally given unprecedented roles in combat and greater responsibilities in leadership, veteran services, and benefits often lag behind. 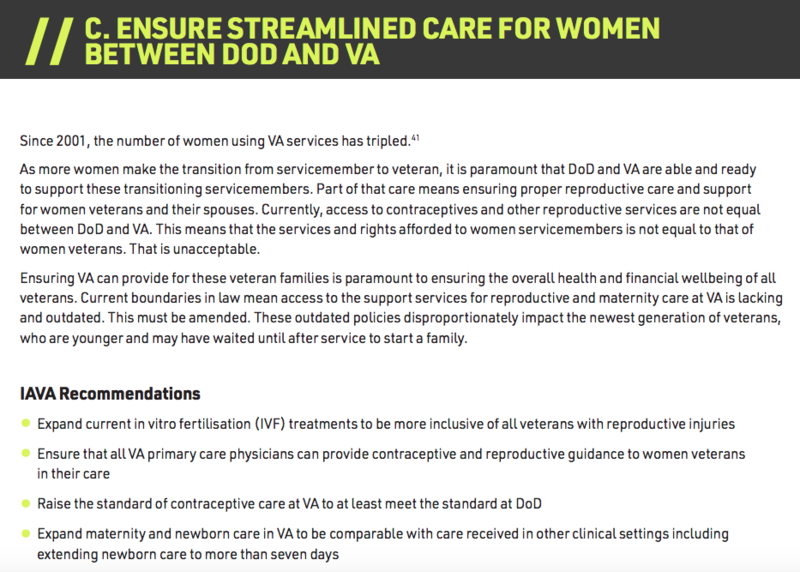 While the past few years have been encouraging in the display of growing interest in ensuring health care accessibility for women veterans at VA, increasing support for women veterans, and expanding services, there is still much work to do. 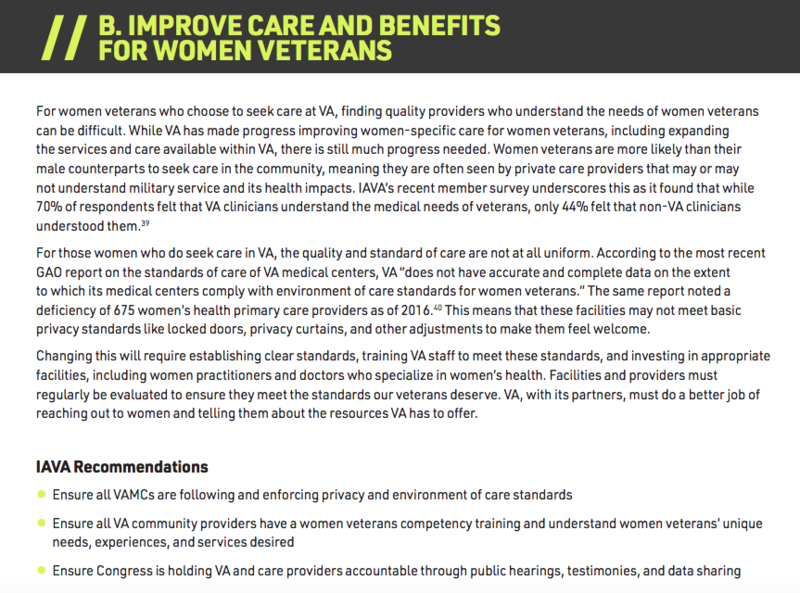 Women still report being stigmatized or feeling unwelcome at VA, and the Departmental motto itself is gender-exclusive. As a nation we must recognize GI Jane as much as GI Joe; it’s past time that the military culture and our nation embrace this, and recognize, celebrate, and support the service of all veterans that serve this nation. 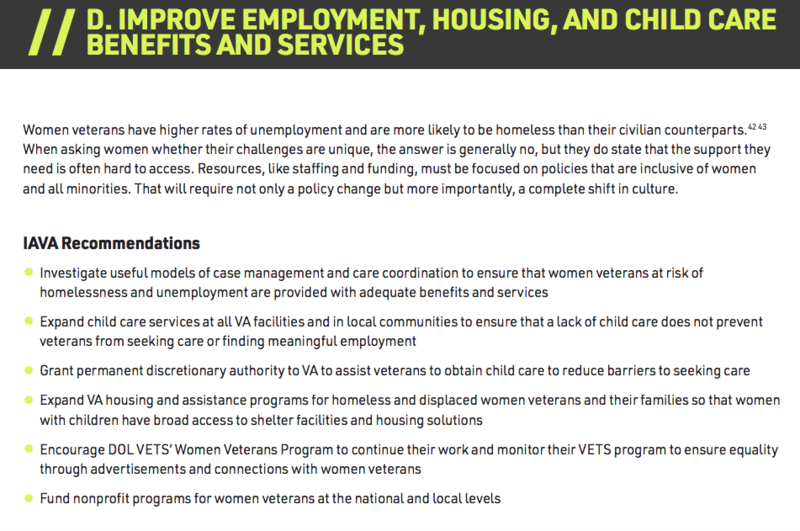 Learn more about IAVA’s campaign to recognize and improve services for women veterans here.